It looks a mess, but tastes great! 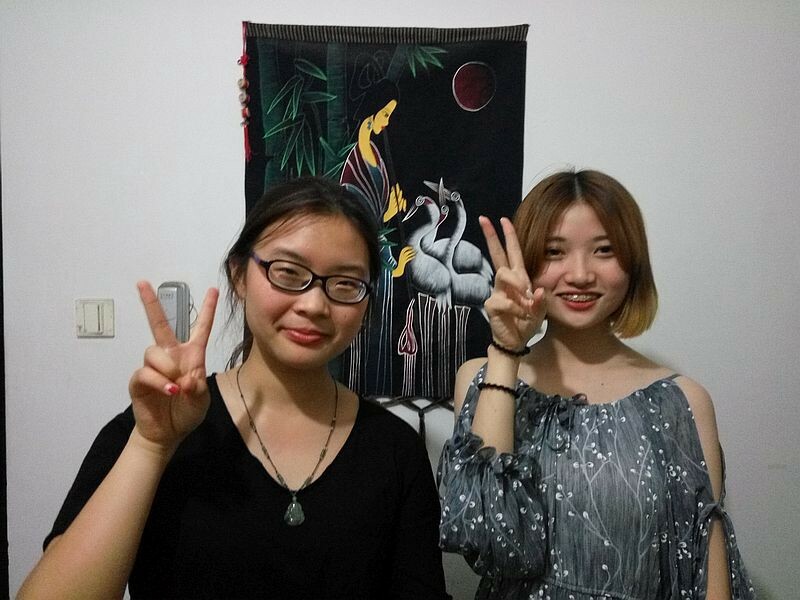 JISHOU, HUNAN — On Friday I told my freshmen that I would not be returning to teach them English in the fall. By way of explanation, I said I was now 61, one year over the mandatory “retirement” age for foreign teachers here. 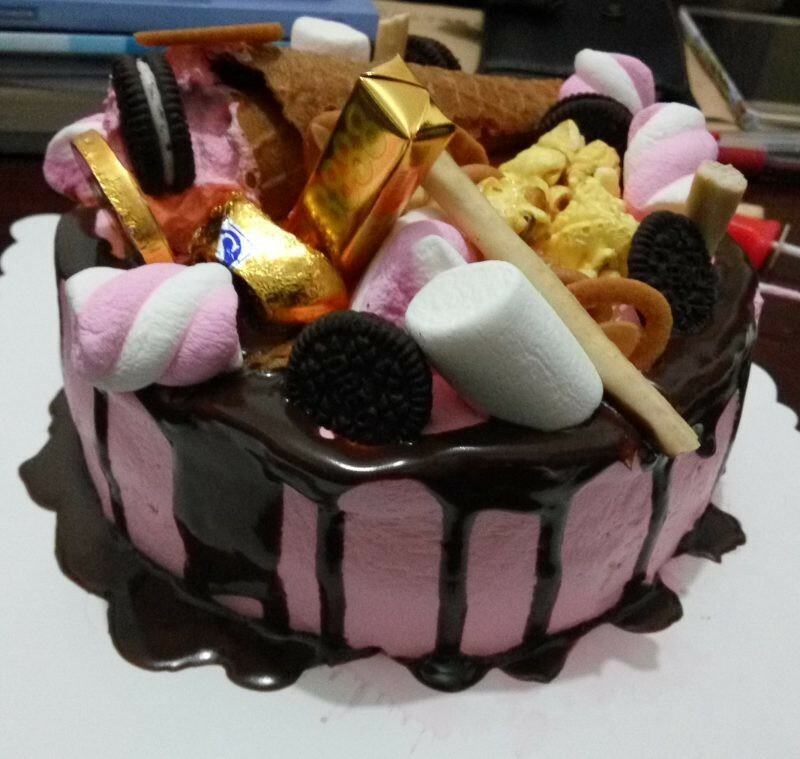 Well, I guess some of my students took that to mean I had just had a birthday, so two of them today went to a DIY cake shop and made me a small birthday cake (photo above). My birthday is in January, but no matter! They were showing their affection and care for me, so I just went along with it. Charissa and Jackie (pictured below) arrived after dinner with the cake, candles, paper plates and forks. They sang “Happy Birthday,” I made a wish, and blew out the candles. Though the decoration was a bit over the top, the cake tasted great, and it was a very nice surprise. The freshmen are now in some kind of special classes — I suspect a test run of some computer-based learning system. So, my last classes with them were a week ago. I’m an evaluator of their progress in the special classes, so I still will see them next week. And their final listening exam is Tuesday evening. My last regular classes here are on Monday — the sophomore spoken English course. I’ll tell them my big news then, but I would not be teaching them as juniors anyway. Chinese English majors have spoken English classes only during their first two years of university, a policy I personally think is daft, but it is written in stone. So, we manage as best we can.